Portrait of a man, n.d.
Oil on canvas, 59 x 40,5 cm. An elegant and formal portrait of a man with an Van Dyke beard. He is wearing a black silk coat with an impressive lace collar that is full of details, highlighting his high social status. The sharp frontal light on the well-dressed gentleman stands in contrast to the darkness in the background. In addition to calling attention to his face, this dramatic lighting effect also accentuates the play between light and shadow in the gossamer laces of the collar. 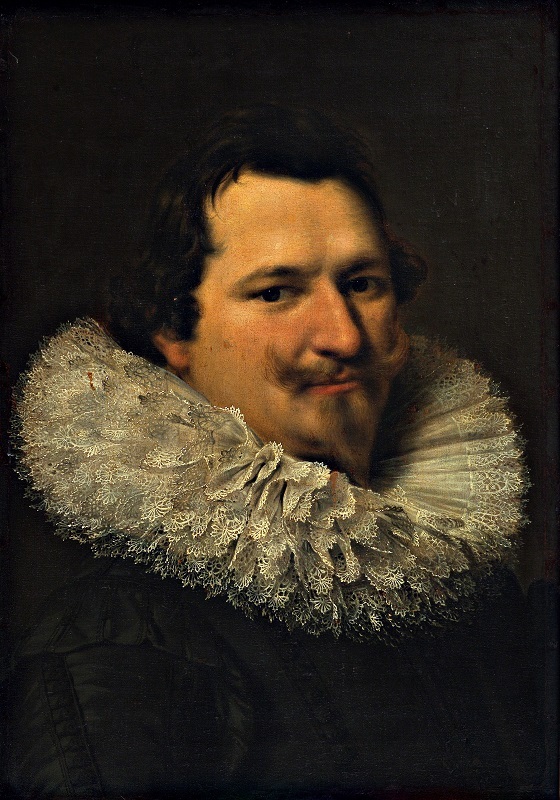 The portrait is the work of the Utrecht painter Paulus Moreelse, one of the most renowned Dutch portrait artists of his time, who received a number of commissions from wealthy Dutch patrons and collectors from the European nobility.